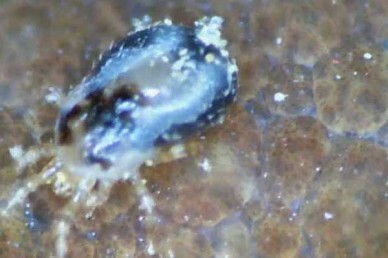 Home » » News » Could the answer to red mite infestations be….mites? 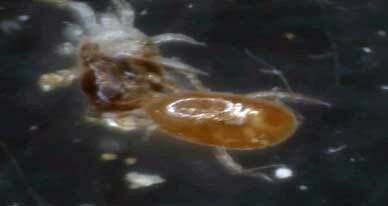 Could the answer to red mite infestations be….mites? A new product enlists the help of mother nature in the fight against red poultry mite. Androlis is the trade name for a predatory mite (Androlaelaps casalis), that specifically targets red mites at all stages of their lifecycle. Red mites are an ever-present problem for many chicken owners with infestations causing stress, anaemia, a drop in egg production and, in severe cases, death. Originally discovered residing in birds nests, the predatory Androlis mite is simply released into the infested area where it will go to work seeking out and feasting on red mites and their eggs. They do not venture onto birds and die off after about 4 weeks when their food source is depleted. For smaller coops that are cleaned out more regularly they can also be released from slow release ‘prevorus’ tubes (available separately) that can be attached to perches or branches – these prevent the predator mite from being thrown out with the litter. One of the biggest advantages over chemical treatments is that red mite can’t become resistant to the Androlis predator meaning you can reapply as often as necessary for effective ongoing control. Androlis do become less active below 15 degrees C but, as red mite infestations are most prevalent during the summer months, this won’t generally be an issue. This tendency to become inactive at low temperatures does also have benefits though, as it means they can be stored in a fridge for up to two weeks before release. Androlis will work with any bird affected by red mite and may prove a good alternative if your regular treatment is becoming less effective or if you are worried about using chemicals around them. 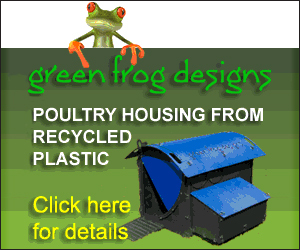 I am just about to start having chickens (only 3) and have an Omelet chicken house. I want to be able to prevent the infestation of red mite if possible and wonder is it worth using the Androlis as soon as I get the hens or do I need to wait until the red mite appears? Sorry , I am sure you are used to dealing with large farm businesses but wonder if you wouldn’t mind giving me some advice. Also how much would I need to use? Thank you. Glad to help. Plastic houses are generally less inviting to mites than wooden houses – especially those with felt roofs – anyway. If you do get an infestation then they are also easier to clean out using a mite killing disinfectant such as Poultry Shield and a hose. Androlis mites have a fairly short lifespan so are really only for use if you have a problem already, you wouldn’t use them as a preventative measure. Enjoy your new chickens. Thank you very much for your help. I will bear everything in mind. Sounds like you have a real problem. For many chicken keepers mites are just part and parcel of it while others get away with relatively few infestations. It really is a case of trying different things until you find one that suits you. 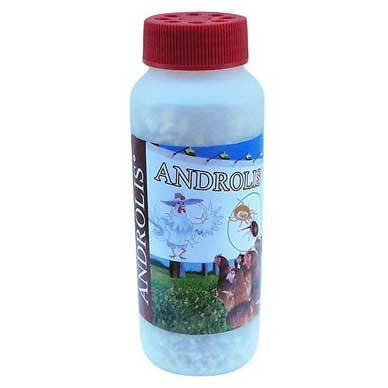 I’d be very interested if you do try the Androlis to hear how it goes for you. Diatom powder works well for me. Make sure there are no easy hiding places for them like under roofing felt but with a plastic coop you are at least giving yourself good options for cleaning and disinfecting.